A handy MIDI interface with audio playback for whenever inspiration hits you. 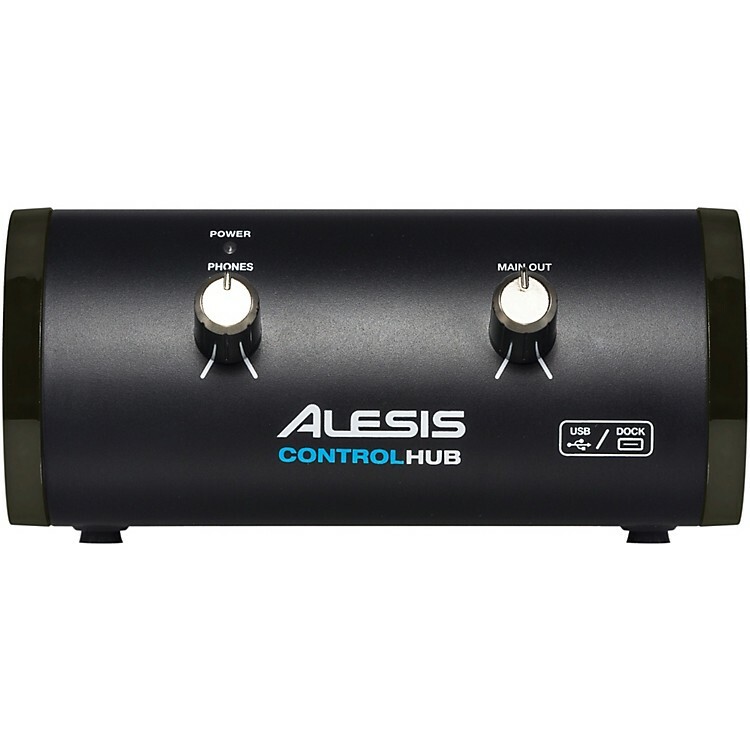 The Alesis Control Hub is a professional MIDI interface with audio playback that empowers you to create anywhere. Made for traveling musicians and mobile producers, Control Hub enables you to play, record, and perform with your favorite MIDI keyboards, drum machines, virtual instruments, and more. Its sleek and easy-to-use design fits in your gig or laptop bag and leaves an ultra-small footprint in any recording or performing setup. Plus, a single USB connection to your Mac or PC provides power to Control Hub and plug-and-play connectivity; no power supply or additional drivers required. Control Hub can also connect to your iPad and other devices with the Apple iPad Camera Connection Kit (sold separately) for even more performance and production flexibility. Compact, portable, and completely bus powered, the Control Hub is the ideal on-the-go interface. Equipped with both a MIDI In and a MIDI Out jack, the Control Hub is the perfect MIDI Interface for working with workstation keyboards, digital pianos, drum machines and modules, MIDI controllers, sequencers, and other MIDI gear. There is even a customizable foot pedal/footswitch input that can be assigned in your software! In addition to the two-way MIDI connection, Control Hub also features a pair of audio outputs for monitoring the audio playback of your Mac or PC on stage, in the studio, or on the go. A headphone output with a dedicated volume control knob is also provided for private recording and practicing. Finally, a main-level control allows you to adjust the global volume, so you can record and perform at the optimal sound level.